The MQ30 Chopping Attachment has been designed to help with all your daily chopping needs, helping you prepare healthy food effortlessly. With sharp blades the MQ30 will chop meat, herbs, vegetables, bread, biscuits and is perfect for creating pates and dips. This attachment comes with a large 500ml capacity and is simple to use as it mounts easily and is dishwasher safe for quick clean up. 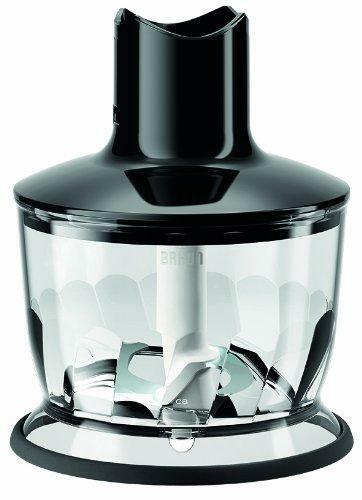 Suitable for all Braun Multiquick 5 and 7 hand blenders.